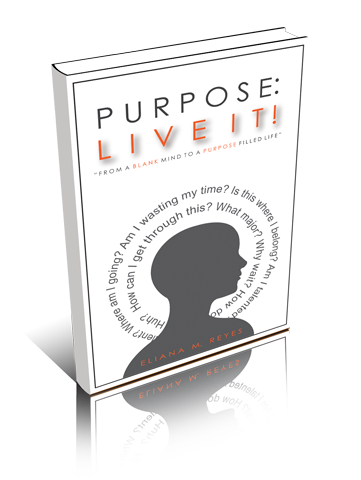 In Purpose: Live It, author and speaker Eliana Reyes provokes readers to take a look at purpose from different lens. It examines the importance of knowing and understanding purpose before living it out daily. Purpose: Live It!, is not your ordinary “purpose” book. It is not a temporary quick fix, but rather an intimate conversation that will change the way you think about purpose and permanently inspire you to live it! Packed with significant life insights and practical biblical references, Purpose: Live It!, is a call for people to get up and live a purpose-FULL life.